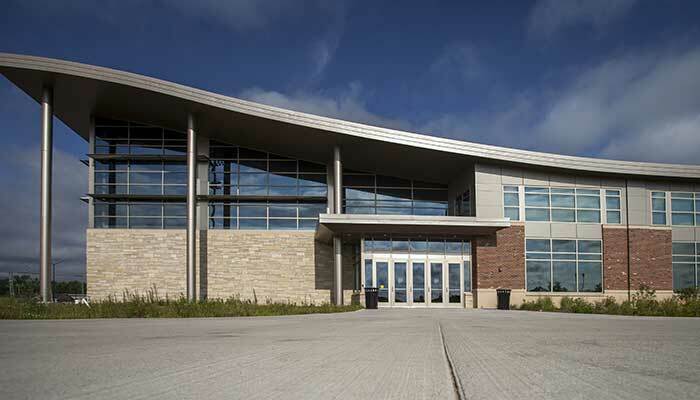 The Knowles Center for Health, Education and Wellenss is a comprehensive indoor and outdoor facility that supports Health & Human Performance, Falcon Athletics, Campus Recreation, and the University as a whole. 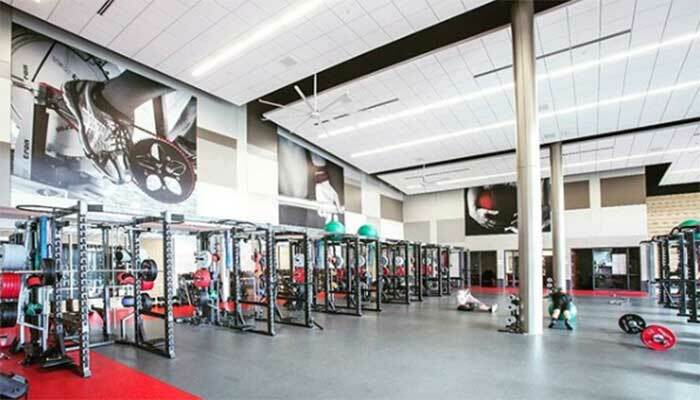 Knowles Center features a six-lane, 200-meter running track for men's and women's track and field, as well as a 15,000 square foot fitness center, 3 academic classrooms, 1 active learning classroom, a state-of-the-art performance lab, 3 multi–purpose studios, indoor climbing center, auxiliary gym, NCAA competition venues for men's and women's basketball, men's and women's ice hockey, softball, soccer, and football. David Smith Stadium recognizes the lead gift from the Smith Family and First National Bank of River Falls in memory of David M. Smith, who was a passionate football fan of both the Falcons and Wildcats. He spent his lifetime in River Falls and advocated change to improve life in the community that he loved. He felt compelled to give back through service and contributions. David was the third generation of the Smith family who own and operate the First National Bank of River Falls, where he served as Board Chair, President and CEO until his death in 1994. Ramer Field, which is a part of the overall David Smith Stadium, had its natural grass turf replaced with Astro Turf 3D Series synthetic turf product in the Fall of 2014. 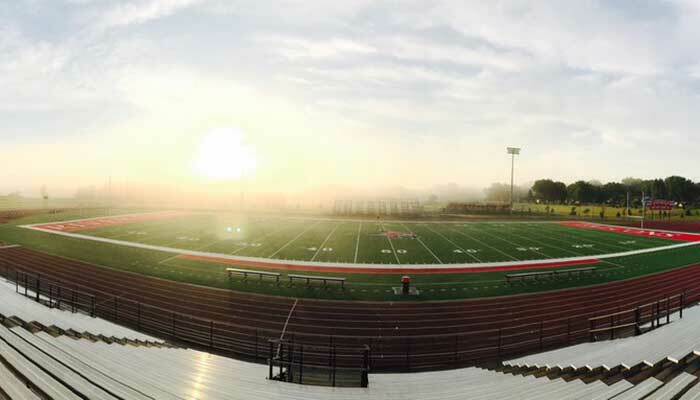 The field was available in early October 2014 in time for the River Falls Wildcat Homecoming game as well as UWRF's which was played the next day. 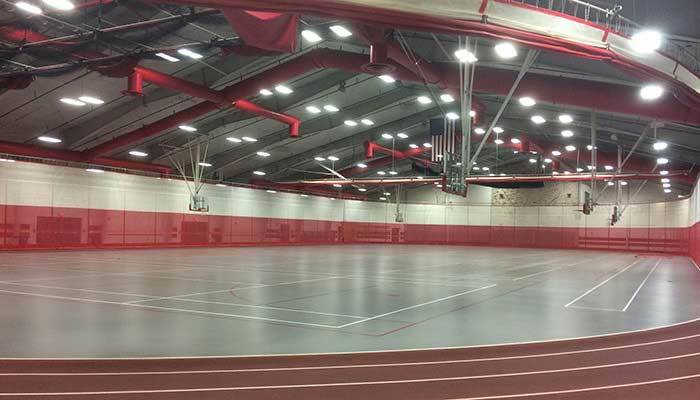 The new synthetic turf at Ramer field is not only used for UWRF Football, but also hosts a variety of campus and community events. 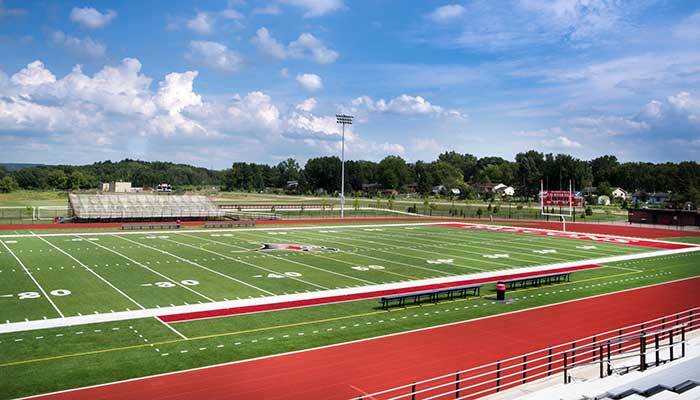 Since installing the new turf the field has hosted everything from Intramural championships under the lights to community youth athletic events to regional Marching Band contests; Ramer Field's versatility has grown immensely.